With our medium truck range carrying some of the most impressive tech in the industry, a solid truck doesn’t just stop at nuts and bolts. 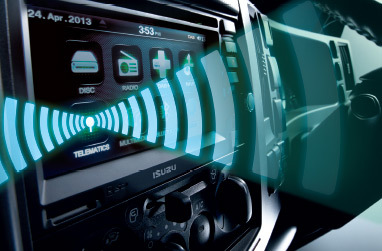 Every medium duty model is fitted with our DAVE media system, which comes with digital radio, DVD, MP3, voice-control and Bluetooth connectivity, as well as the game-changing Isuzu ‘Connect’ Telematics system*. Multi-vision camera systems are available, and of course, remote keyless entry. 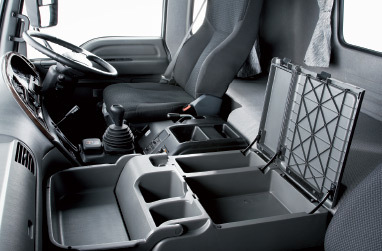 Plus, all models comply with the latest ECE-R29 standard, and come with double side-intrusion bars, seatbelt pre-tensioners and load-limiters, with driver & passenger airbags all standard, as well as ABS, ASR, traction control, FUPS and hill start aid.